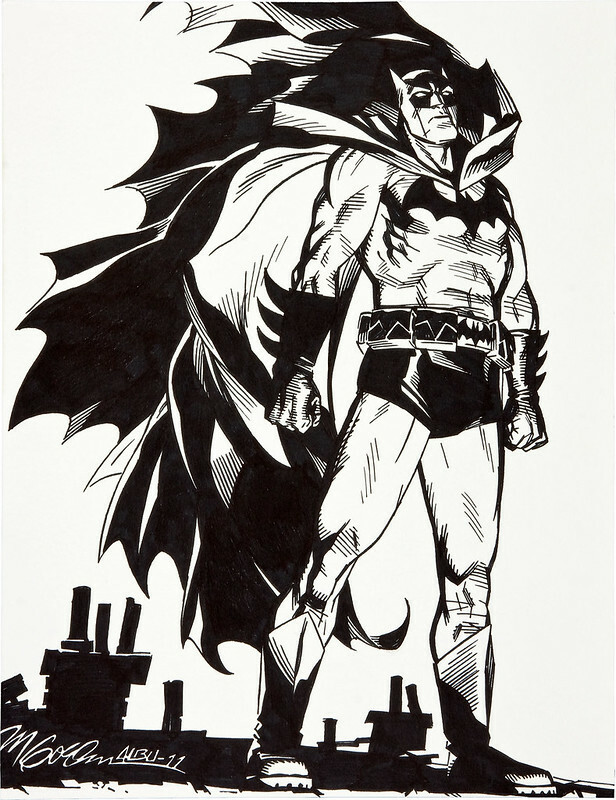 This 2011 illustration features Batman in a contemplative mood on a Gotham City rooftop. Great interplay of shadow and light here, almost Toth-ian! Nuff Said.